Designed specifically for travelers that are going to need to keep all of their gizmos and gadgets on them when traveling for business, as well as those that need a reliable and compartment filled backpack that won’t weigh them down when it is loaded up, the Tumi Alpha 2 Business Compact Laptop Brief Pack showcases a very modern design that helps separated from most backpacks available on the market today. 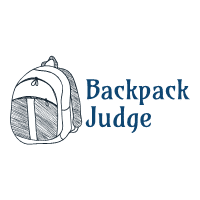 As mentioned above, this is a backpack specifically focused on business travelers, executives and managers, and office workers then need to bring a backpack into a business setting without looking as though they’d brought their backpack from high school with them. 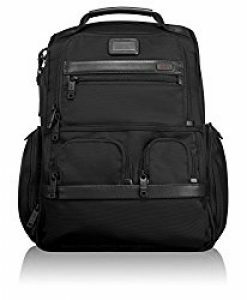 Like a lot of other durable backpacks on the market right now, The Tumi Alpha 2 Business Laptop Backpack is manufactured entirely out of the highest quality nylon available. 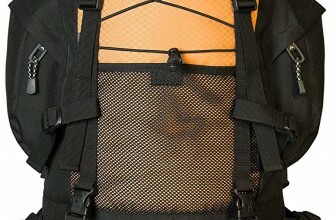 The nylon has been woven into a very tight and resistant pattern, giving this bag the ability to withstand the kind of day to day abuse that those leading “go-go” corporate lives are accustomed to. This bag really stands up to quite a bit of abuse thanks to the nylon construction material, but the zipper enclosures (of which there are more than half a dozen) are also built to withstand pretty much everything that can be thrown at them. The zippers themselves are oversized and heavy duty, as are the tracks that they rode along, and thanks to the nylon material you won’t have to worry about them gumming up any time soon. 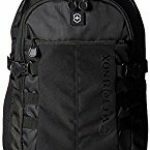 With multiple compartments throughout (not just on the face of this backpack, but in the interior compartment as well), you’re going to be able to organize everything that you throw into this bag without any headache or hassle whatsoever. 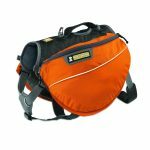 This bag is a little bit different from others in that it has a 13 inches shoulder drop to guarantee that it will be completely comfortable for nearly anyone to wear. The straps are completely adjustable for your convenient as well. This bag has also been manufactured to “sit atop” luggage that is equipped with an extendable handle. 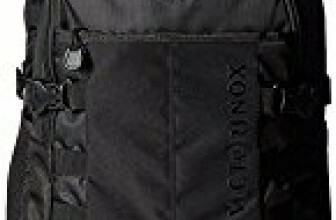 There is a “pocket” on the back of his bag that slides over the handle so that it will stabilize itself as you are rolling through an airport. Business travelers that are hoping to find the perfect backpack for their needs are going to want to look closely at the Tumi Alpha 2 Business Compact Laptop Brief Pack. 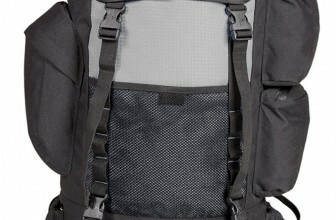 Though it isn’t exactly the least expensive backpack on the planet, it’s built to withstand nearly anything, offers almost infinite storage options and best in class organization, and will meet every airline carry-on regulation.